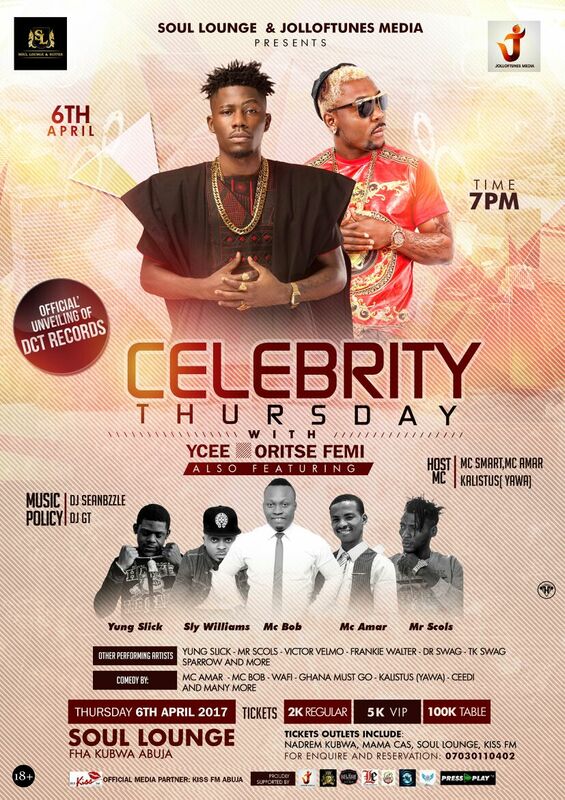 Celebrity Thursday Returns in The month of April with YCEE AND ORITSE FEMI. 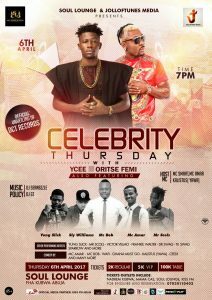 Celebrity Thursday is a monthly Event organised by JollofTunes Media which aims at bringing Nigeria’s A’list entertainers and other upcoming talent to perform an thrill fans under one roof. 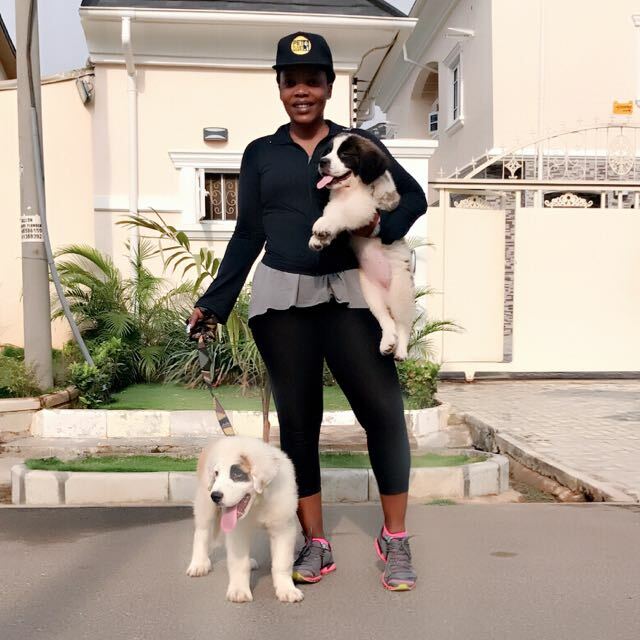 The event which has featured the likes of Kiss Daniel, Skales, Rugged man, Terry G and many more returns on April 6th 2017 with YCEE, ORITSE FEMI & YUNG6IX as headlining Artists. Venue: Soul Lounge, Federal Housing Kubwa Abuja opposite Road Safety.